We’ve got you covered for Burnaby, Fort Langley, Maple Ridge, New Westminster, North Vancouver, Port Coquitlam, Squamish, Surrey, Vancouver, and West Vancouver . Highlights for families: Watch Toy Story on the outdoor big screen in your lawn chairs or on your blankets. Concession will be available. Highlights for families: Enjoy Lego Batman, family friendly activities before the show, face painting, a bike rodeo (bring or borrow), piano sing-alongs and concession with $1 snacks. Movie starts at 8:45pm. 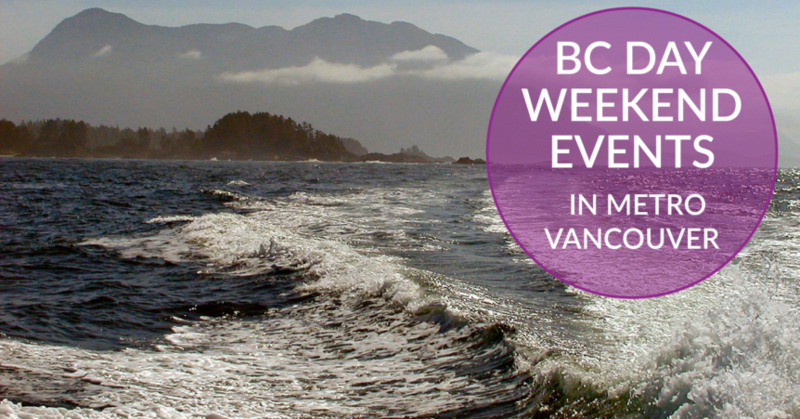 Highlights for families: Have fun swimming and playing in the water as a family on BC Day. General admission rates apply. Highlights for families: Watch Lego Batman on the big screen for free, but donations will be accepted for local charities. Highlights for families: Concerts and nightly movies at 9pm in John Lawson Park August 5, 6 & 7, an art market, art activities and live entertainment on a variety of stages all day. Highlights for families: Fireworks, family fun zone, yoga, sand castles, skimboarding, kite making, scavenger hunt, live entertainment, torchlight parade, sand soccer skills competition, kid’s sand golf, food vendors and more!